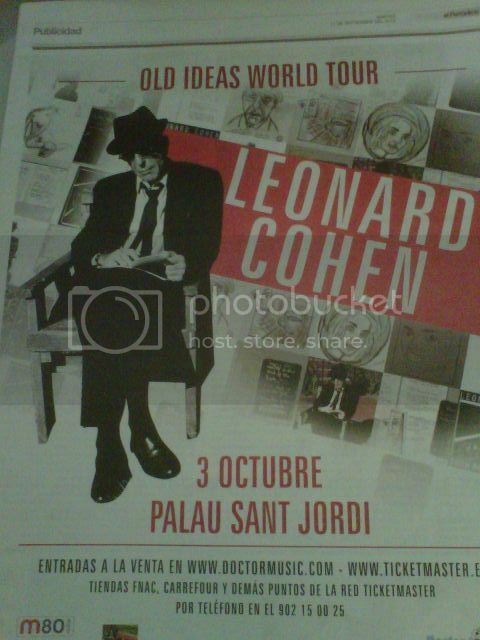 cohenadmirer wrote: I remember the last barcelona concert in 2009 finishes at something like 12.45 am ! No idea if there's any official curfew. We will try to find out next week. QUESTION: Is there anyone else from South Africa on this forum who will be attending the Barcelona concert? Please send me a PM if you are from South Africa and will be attending. We are preparing nametags for Barcelona. Please add your email to send further infos to all of you. At the end of next week we will post all the activities and schedules, we hope you will like tour program. My bags are mostly packed, I get on my flight 2 weeks from today. Today we have emailed all those on our lists. Please check the program and the list to confirm all is correct. We wish you enjoy our city again. Thanks for all the hard work, Bea! Sorry for not getting in contact earlier. If there is still space we would love to come to the musical evening on the 2nd and the lunch on the 3rd. We are 2 people, Colin & Meriel. 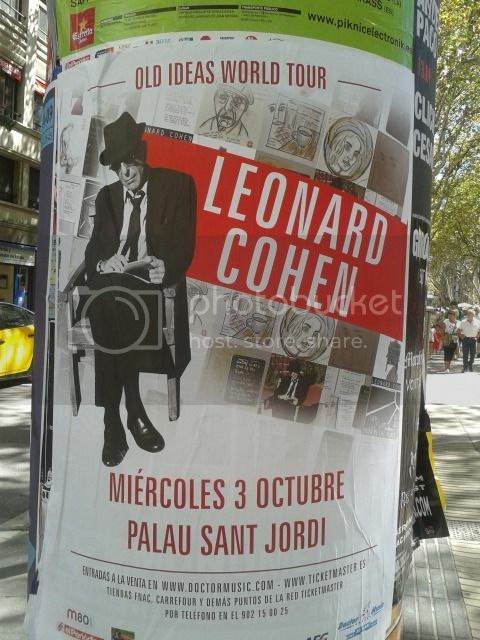 We are very happy to welcome you again in Barcelona for a new Leonard Cohen forum meet up and obviously the concert at Palau Sant Jordi. This is the program we have prepared for you. We will meet for from 9:30pm. Before the concert we will give you your nametags and a special surprise. 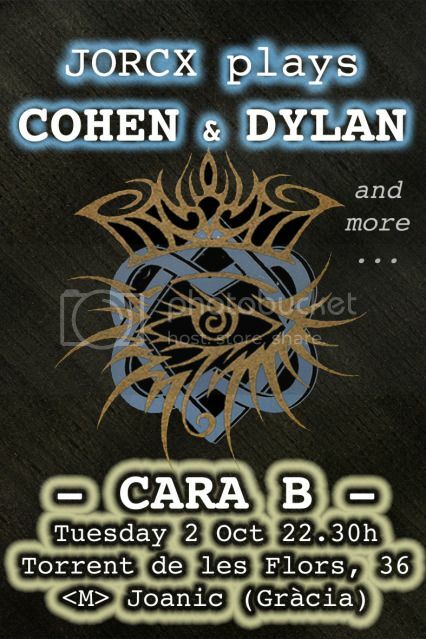 The whole package will cost 35 € each to be paid at Cara B concert. Drinks not included at Cara B concert. It’s an easy walk. As we are going to stay very central, you can quit when you want if needed. There will be some rest/drink stop. 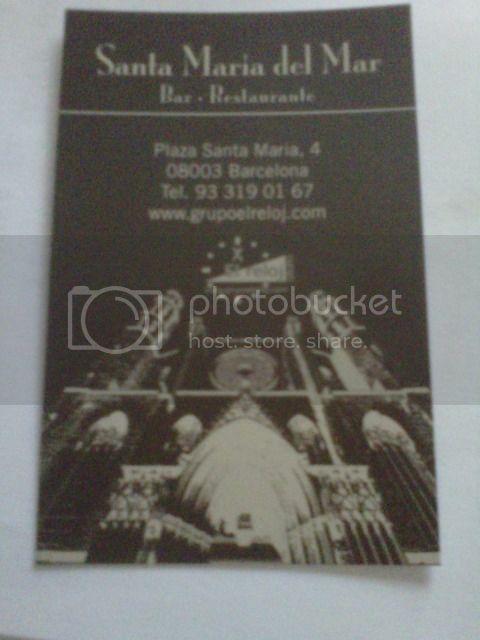 The tour will end at Santa Maria del Mar church in front of our restaurant. We will meet at 1pm in front of Santa Maria del Mar church at the end of the tour. We have been offered the upper floor with stunning views over the gothic church door. Concert will start at 9pm. 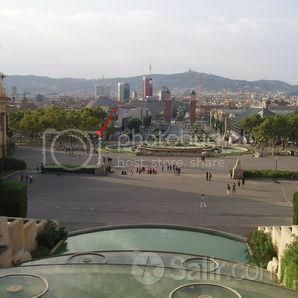 There’s buses from Plaça Espanya to Palau Sant Jordi. But it’s a nice 15 min walk through mechanical escalators to the Palau. 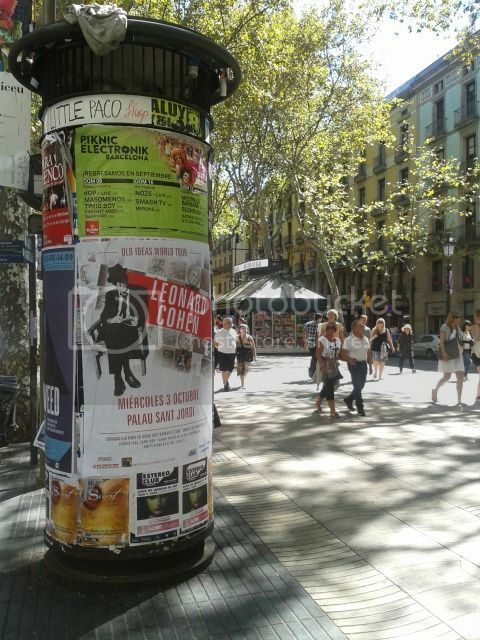 We can meet in a terrace next to the Font Màgica at 7pm to leave at 7:30pm. 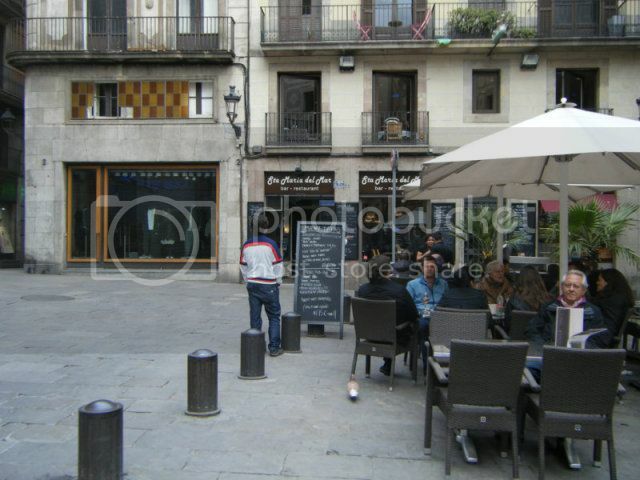 Walk from Plaza Espanya to Font Màgica and then just turn right and you will see the bar. Bea, thanks for all. I'm sure that it will be a great meeting. Many thanks Bea for putting all the events together!! Please note that the Tribute Concert will start at 22.30 on time, but everyone is welcome to arrive before at CARA B and have a drink or two before we start. If anyone is interested in football, there'll be a match going on between FC BARCELONA and BENFICA, until 22.30. (This is the reason why this concert could not start earlier). But I believe there'll be plenty of room in the pub to have our gathering, even though there may be other people watching the football before our music event.